The Montpelier Police Department would be glad to check on your home or business while you are away. Please download and fill out and print the PDF form, then drop it off at the Montpelier Police Department before you leave town. This form is also available at the police department or give us a call. The Montpelier Police Department offers fingerprinting for persons needing background checks for employment or for personal identification. This service is only available for residents of Montpelier or persons seeking employment at a business in Montpelier. You may come to our Montpelier Police Department any time during regular business hours. Should your schedule prevent you from coming during business hours, please contact us for an after hours appointment. Persons needing to be fingerprinted who do not meet the criteria above should contact their local law enforcement agency for assistance. 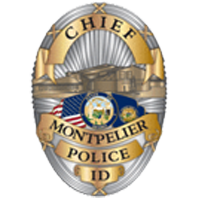 The Montpelier Police Department will provide VIN (Vehicle Identification Number) inspections for the residents of Montpelier. Just give us a call to set up an appointment.